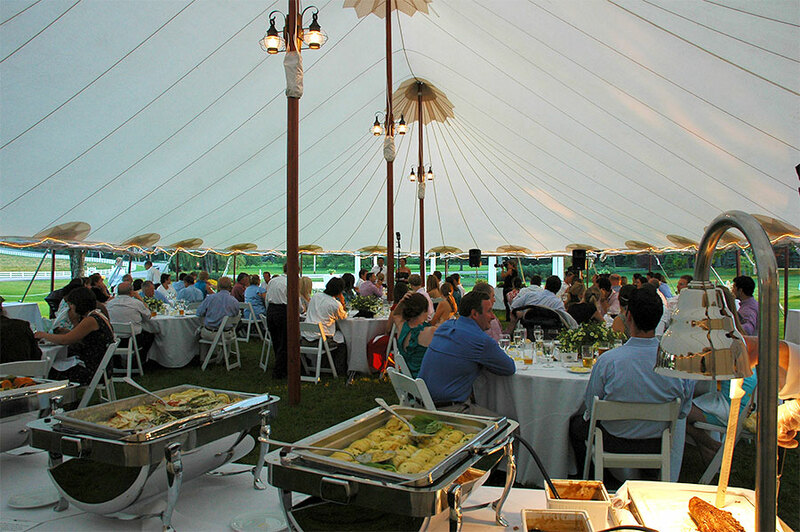 Catering - Pineland Farms, Inc.
Pineland Farms is pleased to have The Black Tie Co., as our exclusive caterer. The Black Tie Co. offers each client a complete custom menu for their event integrating all the wonderful cheeses, produce, eggs, and natural meat available from Pineland Farms. Book you holiday event with the black tie company at our location or yours. celebrate in style. call or email today! Planning or Hosting a Corporate event or Fundraiser can be stressful and time consuming. In the busy and hectic corporate world, there is little time to focus on the importance of organizing corporate events – not just for your clients, but also for your team. Partnering with a caterer who understands your goals and expectations is paramount to your success. The Black Tie Company has provided services for hundreds of corporate and fundraising events. Whether it is a company picnic, a convention, or an elegant cocktail party, we will help you strike just the right the tone for your event. We will consult with you on all aspects, from budget, logistics, and theme, to licensing and insurance. Our professional, courteous staff will provide seamless service and ensure your event is a huge success. Fully licensed and insured bar service completes the picture for your celebration. Just as our valued clients are goal driven, The Black Tie Company approaches corporate events with one goal: creating an event that best reflects your image and values as a company, as well as the intention of your event. Whether entertaining clients, coordinating a benefit, team building, saying thank you to your employees, launching a product, opening a new store, or forging new client relationships, allow us to do all of the work. The Black Tie Company will create an event that will combine the food, the venue, and your corporate image down to the last detail. You can take the credit for a job well done! Visit the Black Tie website to learn more about corporate event design. From the simple morning meeting with freshly baked pastries and freshly brewed coffee, sandwiches and salads for a working lunch, or a hot dinner when your staff burns the midnight oil, we mean business. From a gala groundbreaking ceremony for a hundred guests or lobster bake for a thousand, The Black Tie Company knows what it takes to be all business. Visit the Black Tie website to view our corporate menu. An “event” doesn’t necessarily mean hundreds of guests. Whether you’re thinking about a sit-down, wine-tasting dinner for 12, a smart and stylish cocktail party for 50, a formal high tea, a country-style barbecue or a Classic Maine Lobster Bake, The Black Tie Company is the perfect choice to interpret your personal style. Our custom-crafted events will make a gathering of any size special. LET US DO THE HEAVY LIFTING! BLACK TIE KNOWS HOW TO PARTY. With your vision, we can simplify the exciting, often overwhelming challenge of planning and hosting a catered event. We provide site recommendations for your event and are familiar with the logistics of catering in scores of locations. In addition, we customarily do a full site visit or walk-through prior to each event, and handle floor plans, traffic flow, parking issues, even town and city ordinances. From simple to sublime, catering by the The Black Tie Company offers exceptional planning for a triumphant social event! The Black Tie Company provides handcrafted food, professional and attentive staff, and an appreciation of the moment to your most celebrated occasions. Our intention is for you to relax and enjoy the celebration with friends and family. Please visit our Wedding section for more info on wedding catering.